Expressions of Interest Now Open for 2018. 5pm Wed 13 July 2017. Past performers please note that there has been several changes to the application process. Please ensure that you read all of the relevant information before starting on your application. The National Folk Festival team are calling for expressions of interests for the 2016 festival opening 1st June and closing 1st July 2015. Their Expression of Interest process has changed since last year, so please ensure you read all the information on the Website before starting your application. There will be 7 Program Categories from which to choose. In 2016 we will be featuring all States/Territories and as such will be looking for a range of Acts that best reflect our diverse Australian folk culture across styles and genres. NFF website is being updated and is available here. Are you going to the National Festival? Are you an aspiring fiddle player? Like to learn from one our best? If you answered yes to anyone of these questions then this event is for you. Donal Baylor is one of Australia’s finest fiddlers and has a vast experience playing with many bands including the Dancehall Racketeers, the Baylor Brothers, Mic Conway and Slim Dusty and of course Bluegrass Parkway. Donal will be appearing at the 2013 National Folk Festival with Bluegrass Parkway, with whom he has played since 2001. 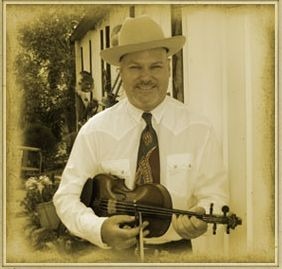 Highly regarded as both a player and teacher, Donal will explore the techniques that make up a complete fiddle player in the bluegrass, old-time and Western Swing styles. This class would be suitable for those with some experience playing the fiddle and would like to take it a step further by playing with others and hopefully aiming towards performing. Reading music is not essential but is a great advantage. It is aimed at those that want to expand their musical horizons and take their playing to a new level. It is a class for those fiddlers who are curious as to the intricacies of these styles but haven’t yet fully explored them. Besides your fiddle – a pen/notepaper is also handy for any notes and recording devices are welcome. Playing the fiddle in a band – how to fit in and make it work. Learning how to adapt and improvise in the genres of bluegrass, country, old-time, Cajun and Western Swing. Masterclasses will cater for intermediate to advanced level and the numbers in each class will be limited so you will need to apply early to ensure your place. Format – 2 x sessions each day (3 hrs + 2 hrs) 10am-4pm with lunch included. Transport – For participants holding NFF Season Camping Tickets transport will be provided each day between EPIC and the Ainlsie Arts Centre. The National Folk Festival folk have announced the appointment of Pam Merrigan to the position of Artistic Program Manager. Being selected from a field of 19 applicants is testament to the breadth, depth and quality of Pam’s involvement in the folk scene and in community music projects. Pam’s career has included extensive experience in music education and as a festival organiser, professional musician, arts producer, radio broadcaster and developer of high quality community based music projects. Most will know her as the founder and director of the Turning Wave Festival from 2006 to 2012. Prior to this she was involved with the Newcastle and Wagga Festivals. She organised Folk clubs in Newcastle and Wagga and other successful production activities in Sydney which she initiated. She has been resident musician (guitar / keyboard) since 2006 for the Sydney Irish Ceili Dancers. She is also an accomplished fiddle player. Pam officially begins duties from the 23rd July. The festival is always on the lookout for volunteers who may be interested in stepping up and taking on more responsibility throughout the year. If you have ever worked with a team, managed staff, have administrative experience, a background in retail or hospitality management, or you’re just keen to give it a go, then they’d like to hear from you. Please email the Volunteer Manager if you are interested in taking on a more involved position at the 2013 Festival. If you are a collector of their merchandise and would like a ‘retrospective’ 2012 festival t-shirt, please send them an email to register your interest (). Dependent on demand, we may well produce a limited edition shirt. If you would like to feature on the Education website – please send a 200 word max, potted description/bio of your self as a musician (as follows) with particular reference to your instrument. The festival staff have announced their involvement in presenting a Festival and Event Management Masterclass in Canberra this August. Run by Paul Gudgin, it is an intensive 2 day program designed to inform and inspire anyone involved in the business of creating, managing and developing festivals and events. It is a highly practical course full of ideas and examples to increase participants knowledge and improve their events. It includes sessions on key tasks and challenges for festival organisers such as Marketing, Press, Programming, Evaluation, Sponsorship and Fundraising. Paul Gudgin has over 20 years experience in the management of festivals and events and was for 8 years the Director of the world’s largest arts festival, The Edinburgh Festival Fringe. Please visit their website for more information and to buy tickets. Applications to perform at the 2013 Festival are now open. 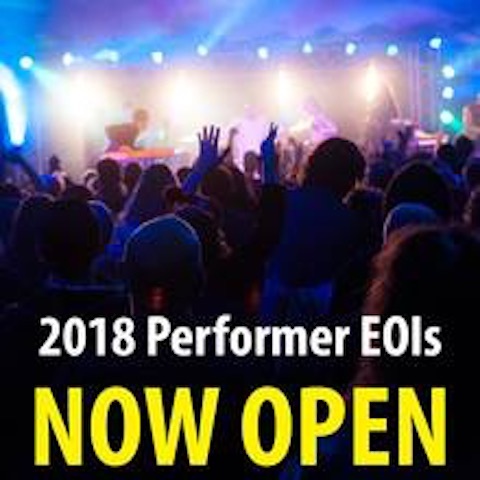 If you are interested in performing at next years festival please read through the important information on the performer pages on the Festival Website. Applications close 1 July 2012. The folks at the National Festival have advised that Early Bird tickets are now on sale until 30 October or until they run out – whichever comes first. The National FolkFest – Australia’s premier folk festival event – brings another world-class acoustic music line-up & unique participatory events and venues with over 20 stages with vibrant world-class artists, craft and delectable food. NFF was the winner of the 2009 National Qantas Australian Tourism Awards, Best Festival category. 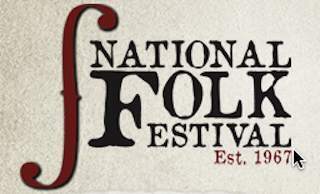 National Folk Festival 2012 Performer Applications Now Online. 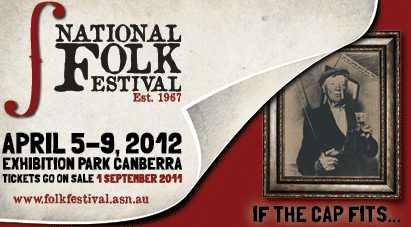 Visit National Folk Festival Website and click on Apply – Performers, to apply for 2012 festival. This year’s festival is already taking shape with some significant headliners touring in 2012 according to organisers. Here’s an opportunity to perform alongside some of the world’s leading artists in 2012. Apply now to take advantage of the National Folk Fellowship – Musicians, Singers, Dancers, Poets, Performance Artists – your chance for funding and support to help you discover and explore original collection material at the National Library in Canberra. Visit National Folk Festival Website and click on Apply – National Folk Fellowship. The Birrigai Masterclasses provide a unique opportunity for aspiring songwriters and instrumental musicians to rub shoulders with, and be inspired by, a group of the country’s leading practitioners in their respective fields. Over a week in idyllic surrounds, in a modern newly-appointed venue, with leisure time to relax and explore the beautiful scenery with abundant wildlife – Course fees include full board accommodation, meals and ground transport to the venue – with an inspiring and informative a series of conferences, hands-on vocal and instrumental workshops, sessions, concerts, films and informal music making. All for the price of a week’s holiday anywhere! So the expert musical tuition, inspiration, wonderful company and the Canberra Spring mountain air are an added bonus!! Fees:$850. Bookings are now well underway following advertisement at the National Folk Festival – and will close on 31 July. Book now to avoid missing out, as numbers are limited. A deposit of $200 is payable, with balance of full remittance due by 31 July. Bookings: National Folk Festival – 02 6262 4792 or 0400 391 324, or info@folkfestival.asn.au or www.folkfestival.asn.au.